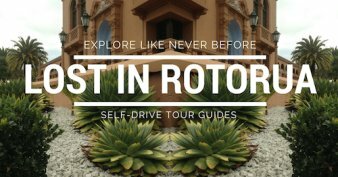 Lost in Rotorua Self-Drive Tour Guides for a couples romantic outing is the perfect way to explore the area and have fun at the same time. Better yet, come the end of the tour and all going well, you should come off smelling like the proverbial rose. That's because part of the fun aspect comes with not telling your partner where you're taking them. Each location is to be a surprise. And who doesn't like surprises? That means they will have to drive so you're free to read the instructions in your guide with the signs and markers you both look out for. The main thing is you'll know the locations. And if you're familiar with Rotorua and find you have been to some already, it's still a fun game to play. As for the romance, well, there are some tips in the guides about that too. Some of the locations are mega romantic in themselves so take full advantage. 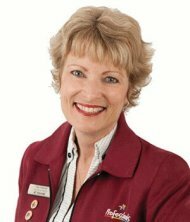 As well, you just might get to know each other a bit more. NOW, HAVE YOU GOT WHAT IT TAKES? You'll be supplied with everything you need to pull off this romantic outing - barring one tiny thing. STEELY DETERMINATION. Your attitude to playing the game is critical because sealed lips and the ability to keep a deadpan face is a prerequisite. Think, a barrage of questions and statements along the lines of an interrogation. "Where are we going?" "Why can't you tell me?" "If you loved me you'd tell me." "You're so annoying." "I hate you." Yada, yada. Right? Right. Let's get on with it. For your eyes only, here's the lowdown, and remember, sealed lips. 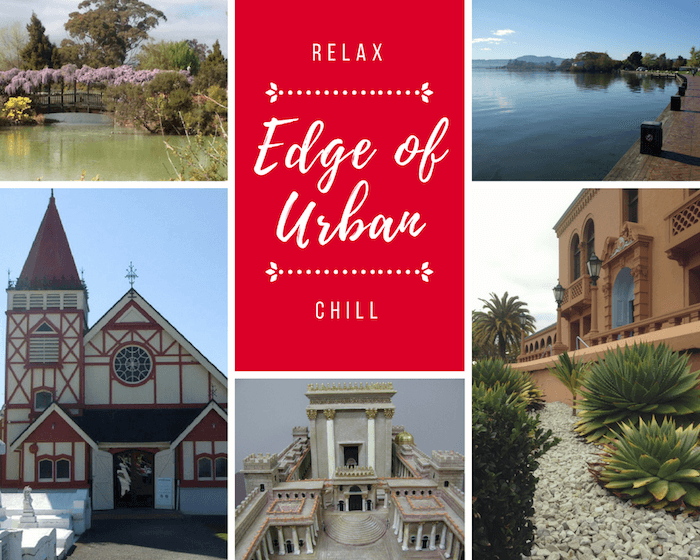 Edge of Urban - As the name suggests, the locations in this guide are within a 1km radius of the inner city and the shortest in terms of travel time. For all that, it still packs a punch in terms of the places visited. 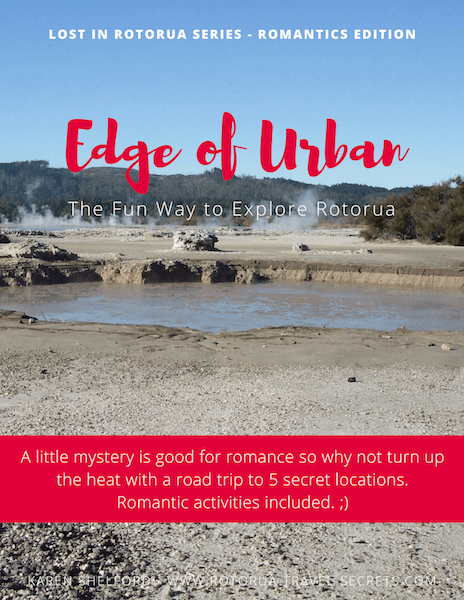 In no particular order, you'll get up close to plenty of thermal activity (feel it on your skin too) at a number of the sites one of which is Kuirau Park. Visit the timeless Ohinemutu village where you will view the richly carved Tama-te-kapua meeting house and go to church at St Faith's (not a service, just to visit) where the interior has a fascinating blend of cultures decorating the furniture, walls, ceiling and even the windows. Let your inner child come out to play dress-up and catapult back in time a few thousand years at Bibleworld. 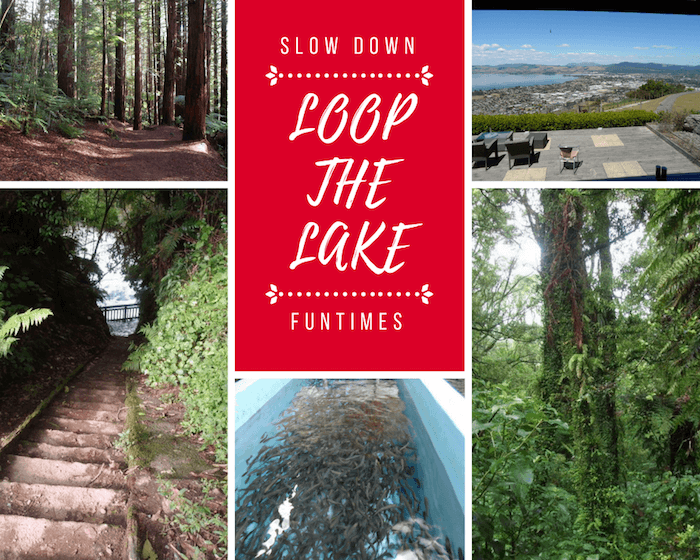 There is lots to see at Government Gardens but very relaxing just the same, and our busy lakefront offers not just a relaxing stroll but paid activities such as Kawarau Jet Boating for one (awesome by the way). 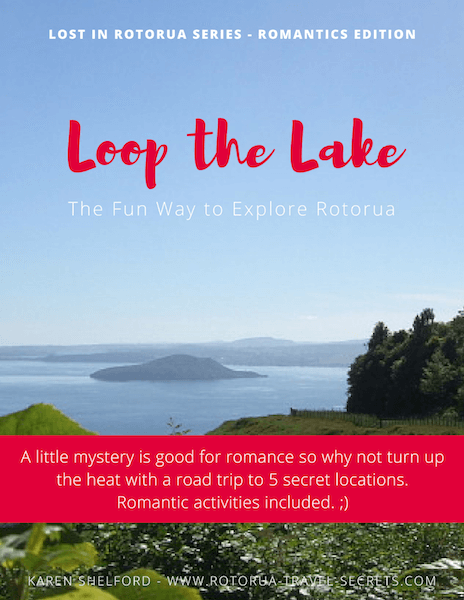 Loop the Lake - This guide explores popular spots on a scenic drive around Lake Rotorua. You'll be craning your neck on the first walk amongst towering Redwood trees at The Redwoods. That's followed by a stroll along a bush-lined path to the world's highest commercially operated whitewater rafting falls at Okere Falls. 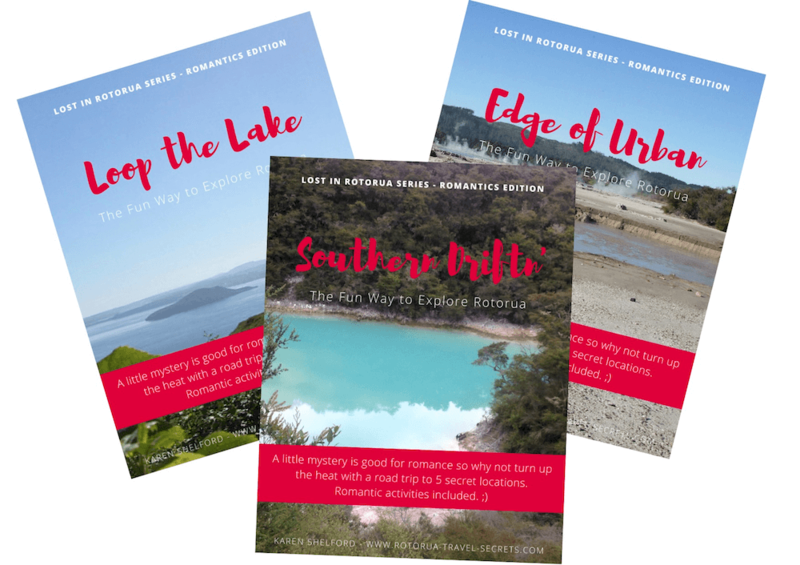 Pop in and say hello to little ticklers at Eastern Game & Fish before getting up high to what I consider to be the wackiest place in Rotorua at Aorangi Peak, but the views, wow, the views are to die for (so a day where it's raining and cloudy is not the best time for this one). Finish off with a zone of zen nature walk on Mt Ngongotaha where you can forget everything and just Be (now that's a fine place to visit when it's raining if you're dressed right). 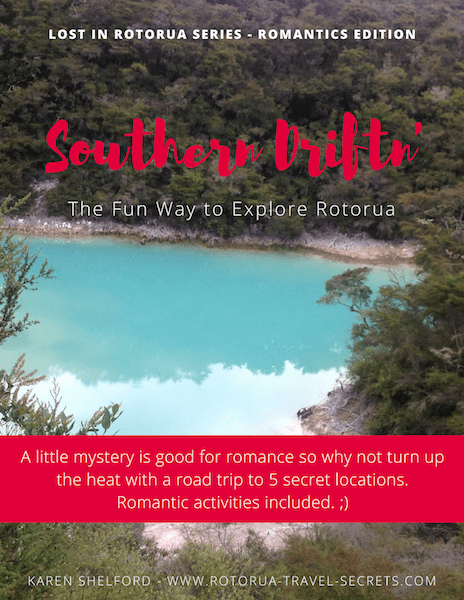 Southern Drift'n - Head south of Rotorua to take part in your own mini-olympics before or after a short walk beside a picturesque stream at Waipa (by Rotorua's primo mountain biking hub). 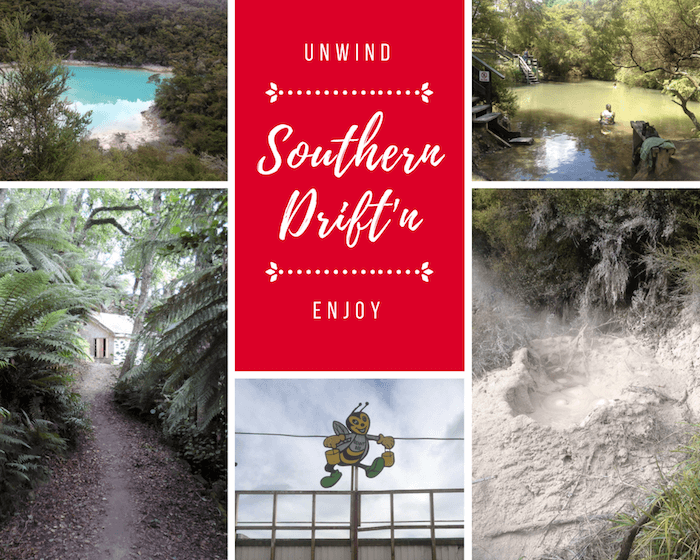 Travel further south to visit three thermal attractions - a short walk to see spectacular colours at Rainbow Mountain, a relaxing back to nature thermal soak at Hot 'n' Cold streams, and see weird and wonderful muddy shapes at the Mud Pool. 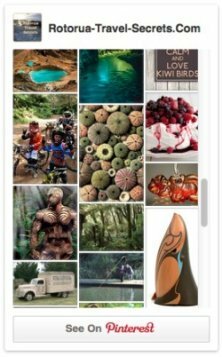 Finish off the day at Benny Bee's country store (a sweet twist) or the Waiotapu Tavern for a late lunch. Gosh Darn It! Okay, I'll Buy All of You. Click! Happy Now? Clicking any of the Buy Now links will open a popup overlay with the price of the product displayed. Add your first name, email address then click the button. You've also got the option to buy as a gift for someone. Paper!!! Some people like to have printed copies on hand so we have to think of the trees. You could always walk the Edge of Urban tour. With the other two tours it's a no, sorry. No buses travel these full routes either.